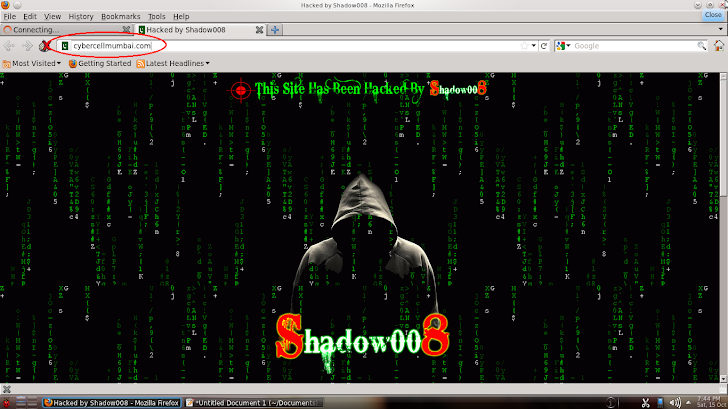 Pakistani hacker "Shadow008" from Pakistani Cyber Army again strike back on India's Most Important website of Cyber cell located at Mumbai, India. The Websites is Defaced today Morning and Mirror of Hack also available on Legend-h.This is not 1st time when Indian law enforcement agency site become the target of Pakistani hackers. Last Year, CBI website was also defaced by same "Pakistani Cyber Army". Hacker post the reason of Hack on deface page as "Site Has Be Hacked For Revenge after they hacked our Pakistani Sites". Right Now, Site is Recovered back to Original One by officials.